For the Challah lover in your life! 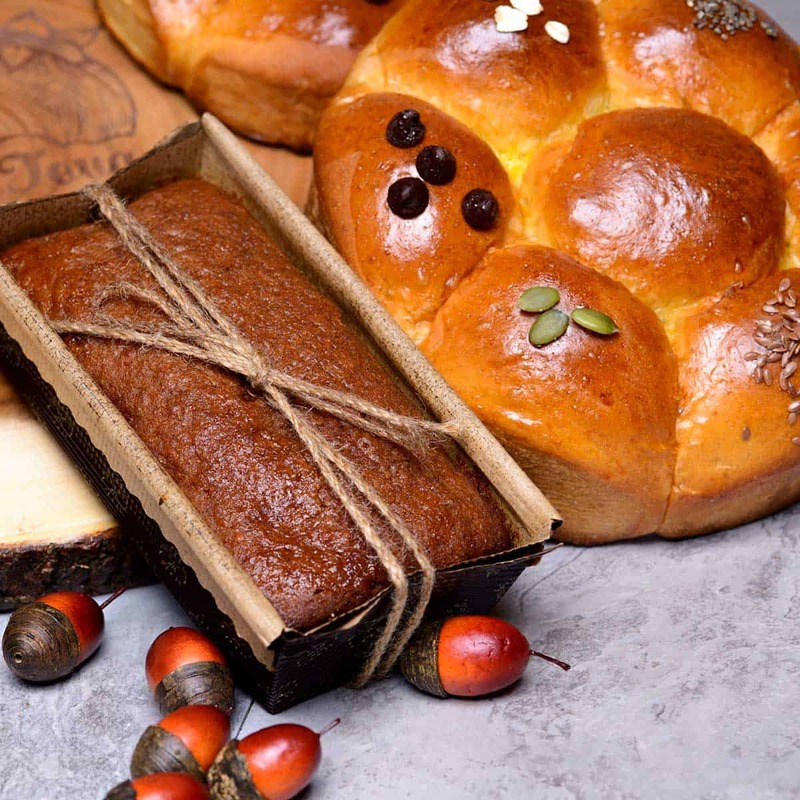 Three Challahs in one gift! 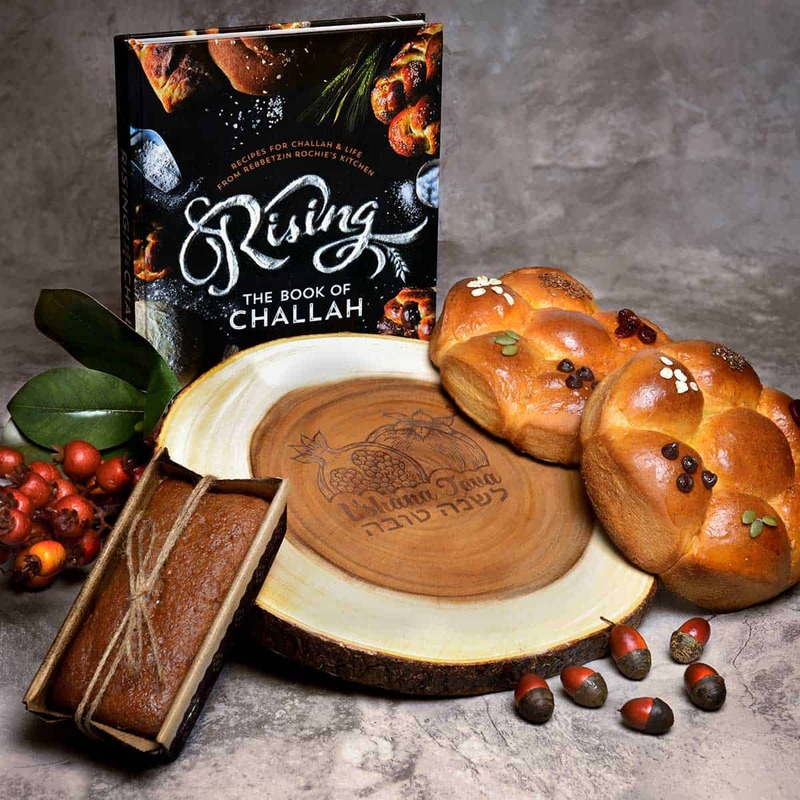 One-of-a-kind Challah Board made of polished acacia wood with Rosh Hashana motif and footed design. 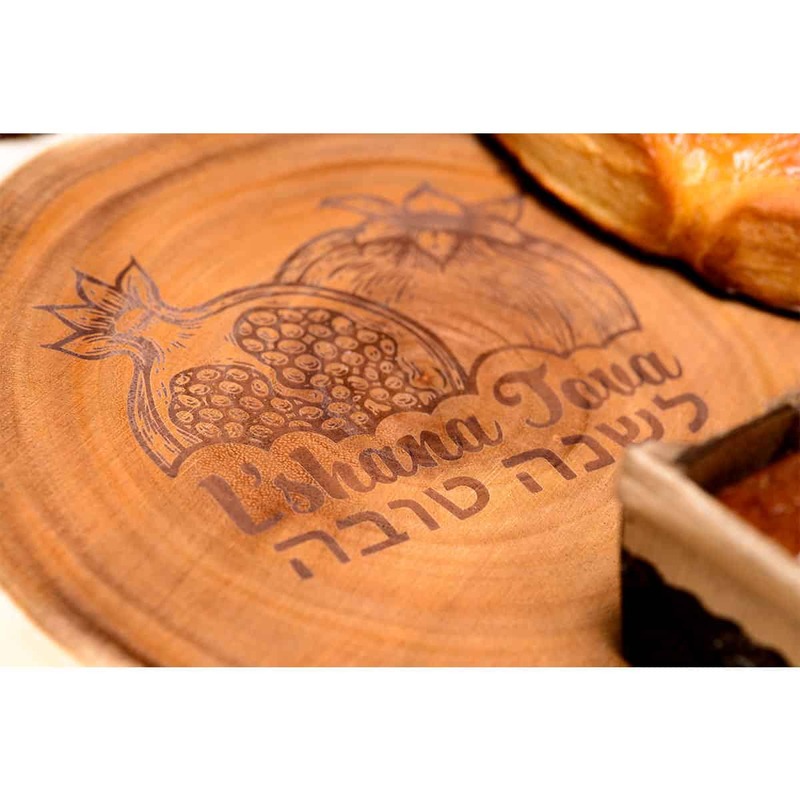 Say L’Shana Tova in style with this inspiring ensemble. 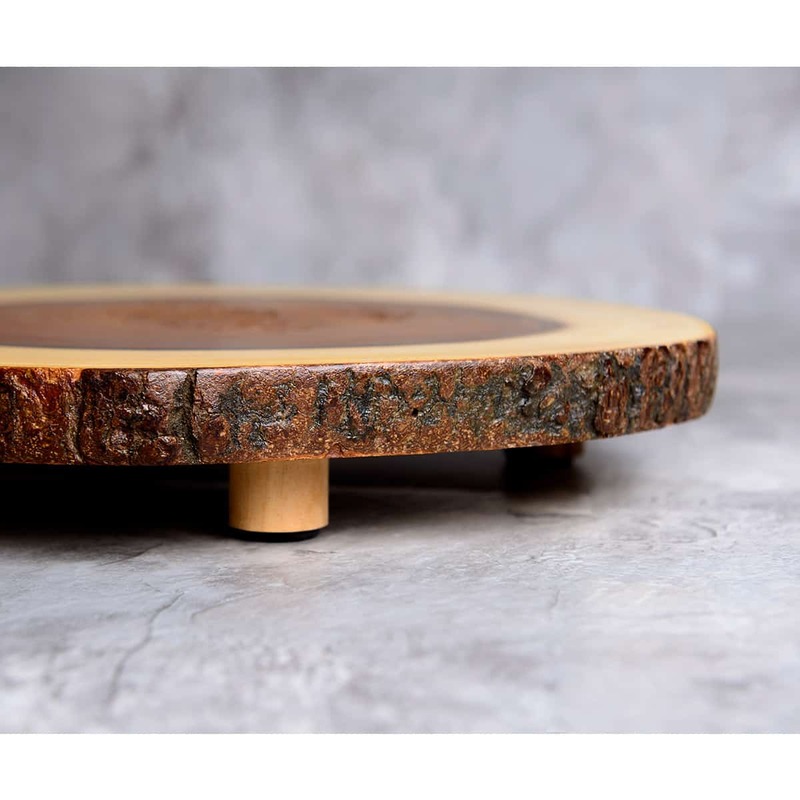 Board is 15″ in diameter and can also be used as a cake stand, server or trivet. We are sure it will grace any Shabbos or Yom Tov table.